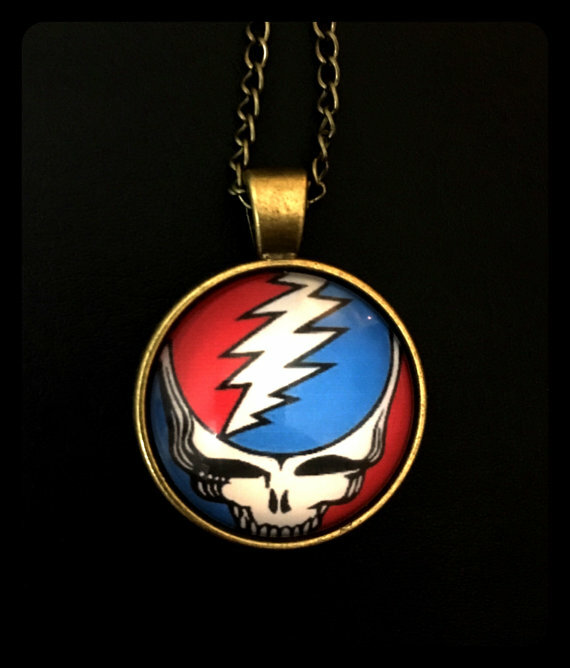 This is a glass photo cabochon necklace with the Grateful Dead SYF design. 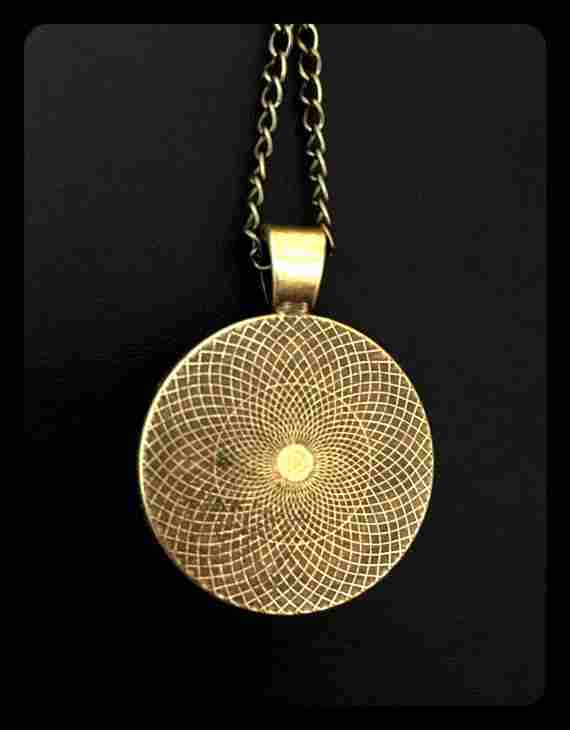 It measures approximately 1 1/2" big and is a little bigger than a quarter. It comes with a matching 16" chain.